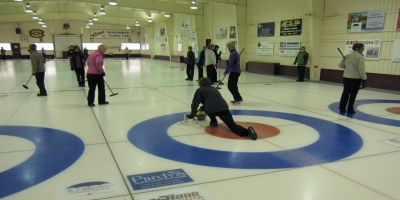 The Bobcaygeon Curling Club is a four-sheet curling facility in the heart of beautiful Bobcaygeon, Lock 32 on the Trent-Severn Waterway. We provide a full range of curling activities for all ages and, thanks to a lot of assistance from the Ontario Trillium Foundation, our new ice plant is one of the contributing factors to a very high quality of ice at our facility. Check us out! Tour our website and then come and visit us at the Club. If you live in the broader Community of Bobcaygeon and vicinity, join us during our Open House Week just prior to the beginning of the curling season in mid-October, two weeks after the Bobcaygeon Fall Fair. If you have never curled before, we offer teaching support ‘second to none’. 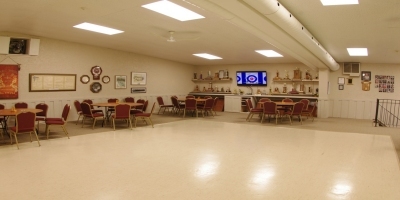 In addition to the sport of curling and a host of related social events, our fully-licensed lounge with kitchen area is available for rent to host meetings, receptions, parties, etc. During the summer months, the rink area is also available for rent. To all out-of-town curlers, we invite you to participate in the entire Club experience --- great ice, excellent competition, amazing food and outstanding prizes. Above all, we offer a social atmosphere that guarantees a gre at day.